What would an app review be without screenshots of the app, right? Even better would be if you could record a short video or two to explain certain features of the app you are reviewing or just give the reader/viewer a general idea of the visual properties. Achieving that is no easy task in VR. Take the Samsung Gear VR, for example. Up to just a while ago you had to have a Samsung Note to capture videos on it. All the other phones that work with the Gear VR just couldn’t do it. That has changed since the last update of the Oculus software for the Gear VR. The new feature is extremely intuitive. 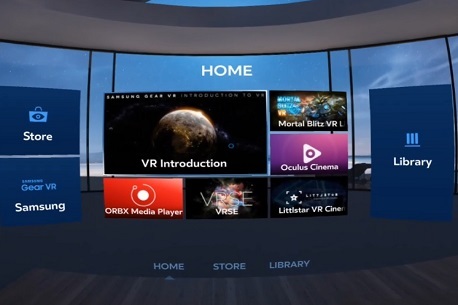 You can take screenshots or capture videos of the Gear VR home screen or any app via the Oculus main menu. Just press and hold the back button. You’ll find yourself under that beautiful star filled sky of the main menu. Here you can turn on the “Pass Through Camera”, adjust audio volume and screen brightness and reorient the screen. On the left you have the “Exit” button to get back to the home screen and on the right you have the “Settings” button. And then there’s the new button called “Utilities”. That’s the one you want. Choosing it you access the “Take Screenshot” and “Capture Video” features. Choose the “Take Screenshot” option. Your Gear VR will jump back to wherever you were before you pressed the back button. No matter if you were on the Gear VR home screen or in any app, that is where you’ll find yourself again. If you’ve ever taken a picture with the timer on your photo camera or your mobile you know that little red light that starts flashing once you set the timer. You will see one just like it in the top right part of your screen flashing three times slowly and then 3 times really fast. Brace yourself, the screenshot is coming. It makes a typical camera click and viola! Your screenshot is done. Recording video on the Samsung Gear VR is not much more difficult. Choose the “Capture Video” option. 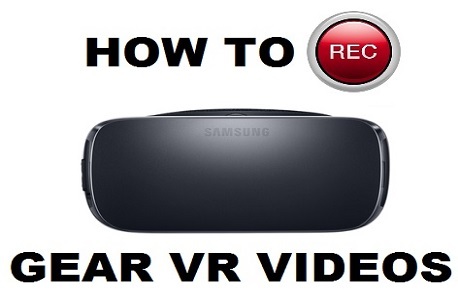 Your gear VR will take you back from where you came and start recording immediately. You simply stop the recording by long pressing the back button again. That’s it. As easy as pie. You can easily locate your videos and screenshots in your phone’s gallery. You will notice one important difference to normal screen capturing software straight away. The new Oculus feature doesn’t capture the double screen. Most other software will capture what the screen shows, which unfortunately in the case of VR apps will always be two separate images for the left and right hand side lenses. The Oculus feature gives you one image. This can easily be used “as is” or be edited in your favourite software. So, there you are. Easily capture screenshots and videos in your Samsung Gear VR.